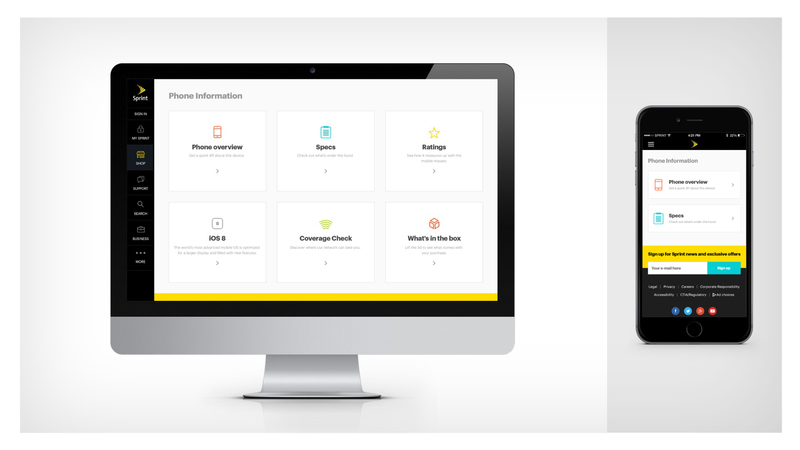 ‍3.0 took a highly progressive look at navigation paradigms and attempted to reduce, simplify and innovate with a new design language. 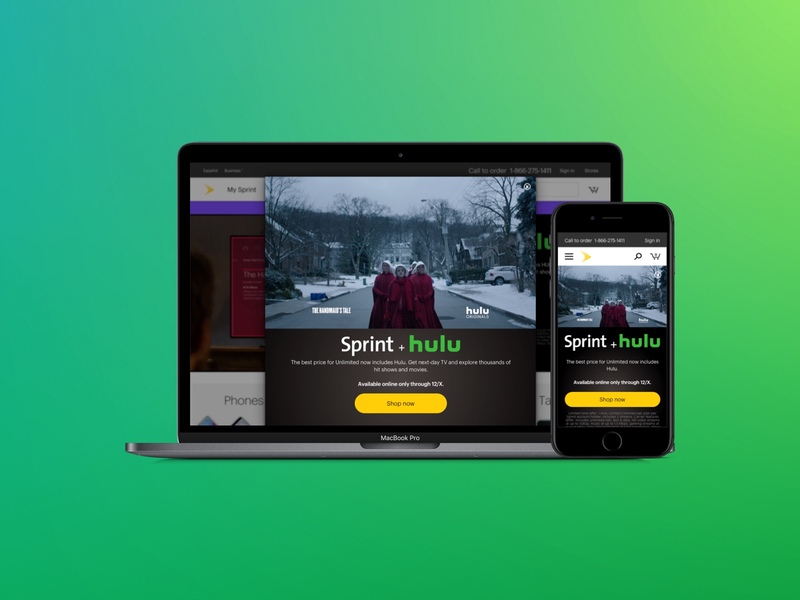 Simple image-based heroes were replaced with video and a new color palette was brought in to provide secondary and tertiary emphasis outside of the primary yellow, white and black of Sprint’s palette. 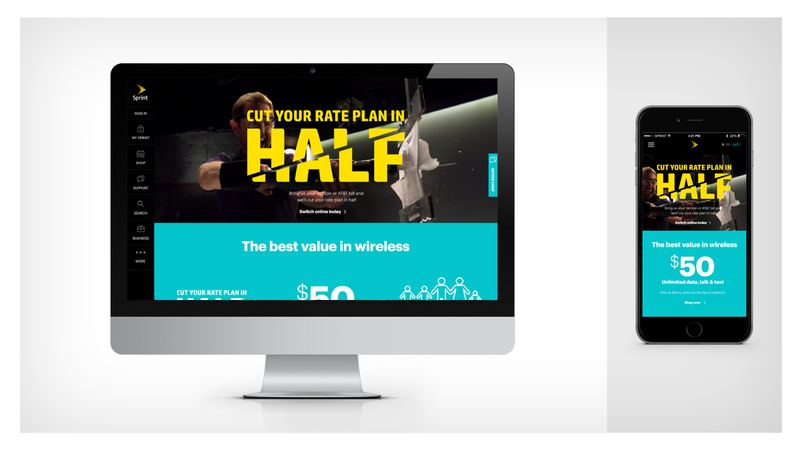 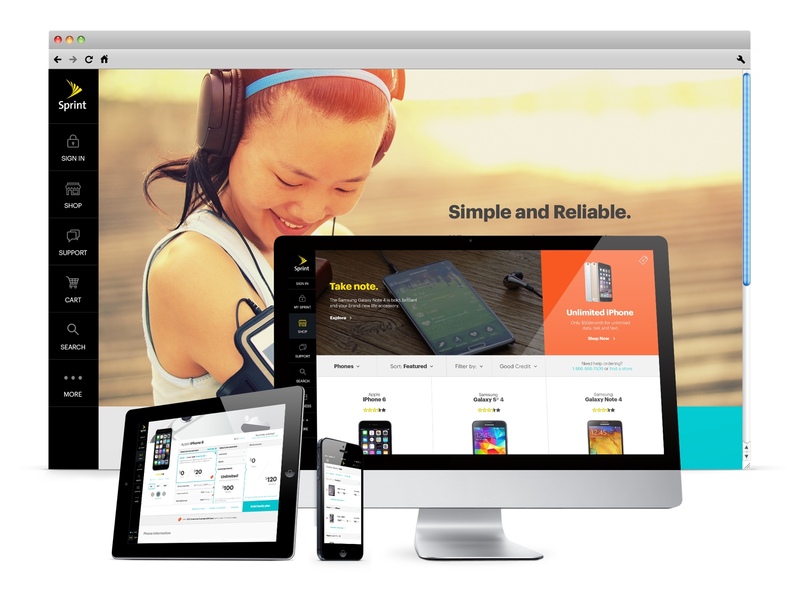 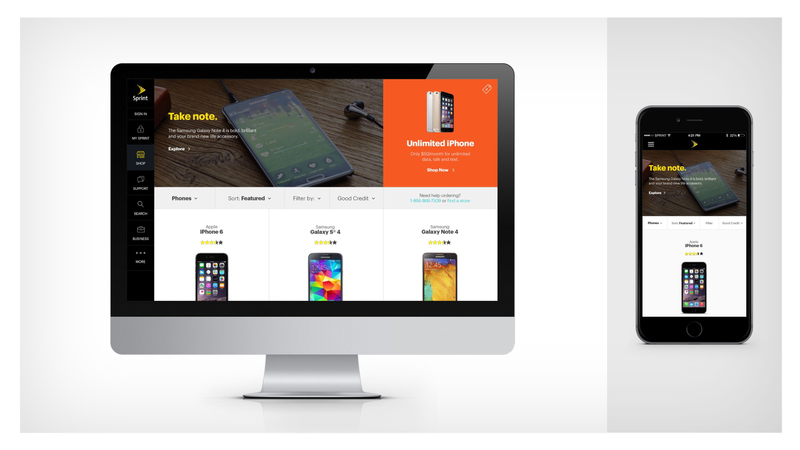 ‍Page grids took on a new form factor and moved Sprint’s homepage properties from unique desktop and mobile experiences to a single responsive experience. 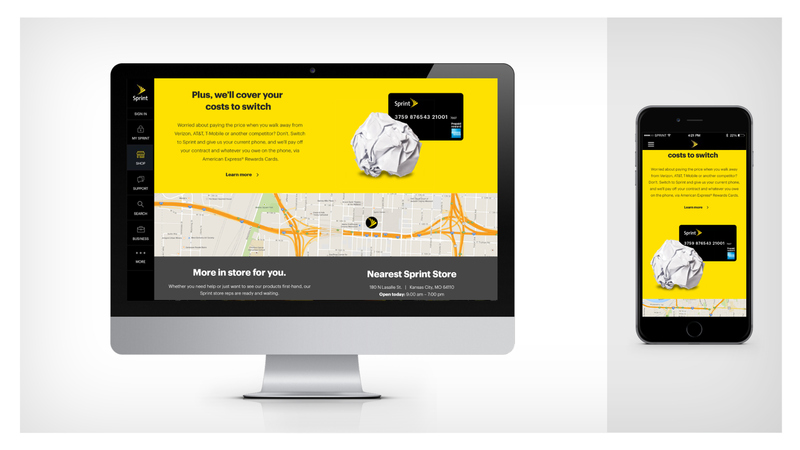 Localization features like Nearest Sprint Store were added to personalize the page. 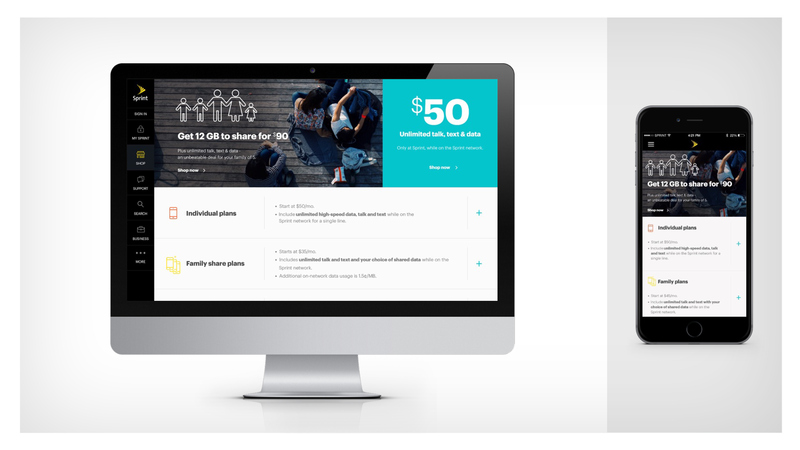 ‍The plans landing page was retooled to condense complicated offerings to scannable chunks with additional information available if the user chooses to dive deeper. 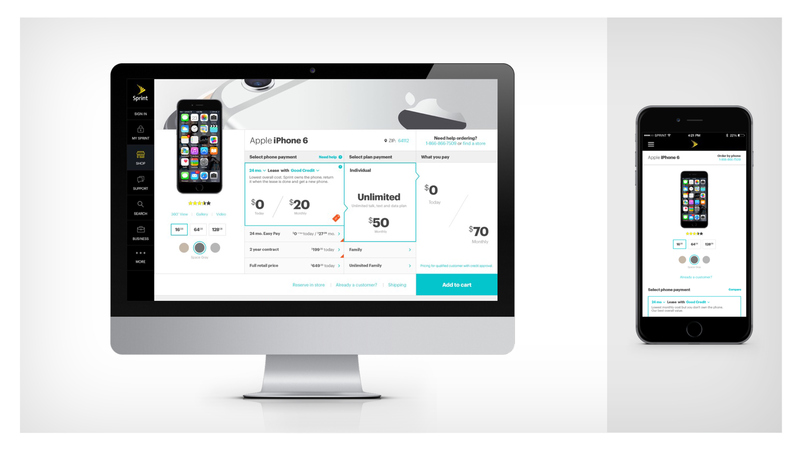 ‍Should the user opt for additional details, competitive comparisons were presented along with a new conversational tone of voice. 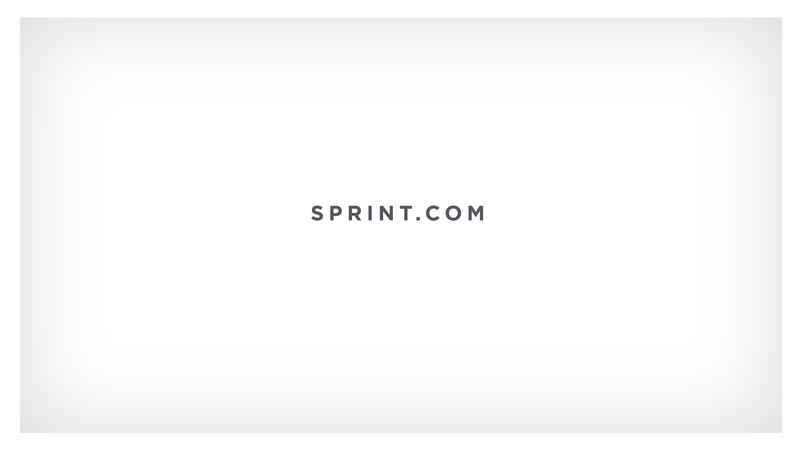 ‍The phone wall - the primary diving board into Sprint’s device offering - also received a responsive update. 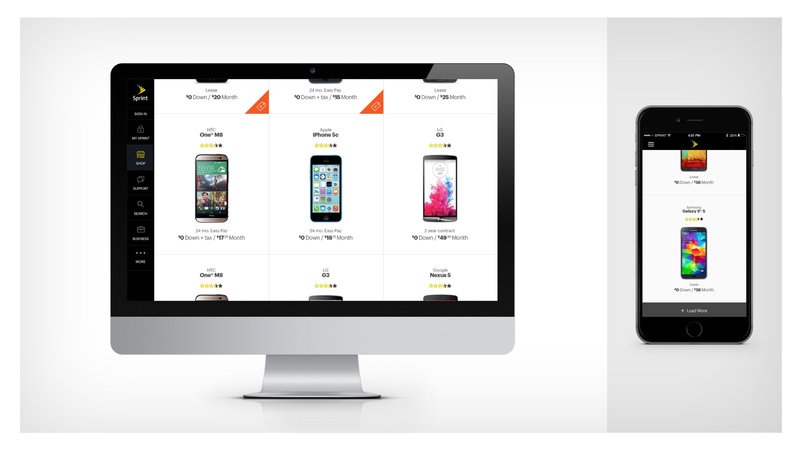 The grid associated with this page hadn’t changed since smartphones entered the market so new, larger images were added to the presentation to help differentiate handsets. 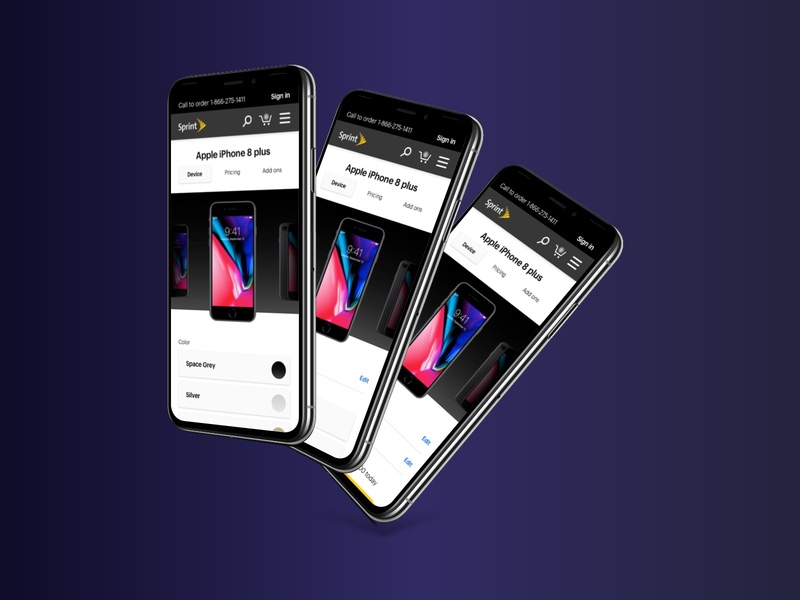 ‍The details page for each individual device received a full UX overhaul, condensing primary decisions to single screens where columns interacted and updated one another based on choices moving left to right. 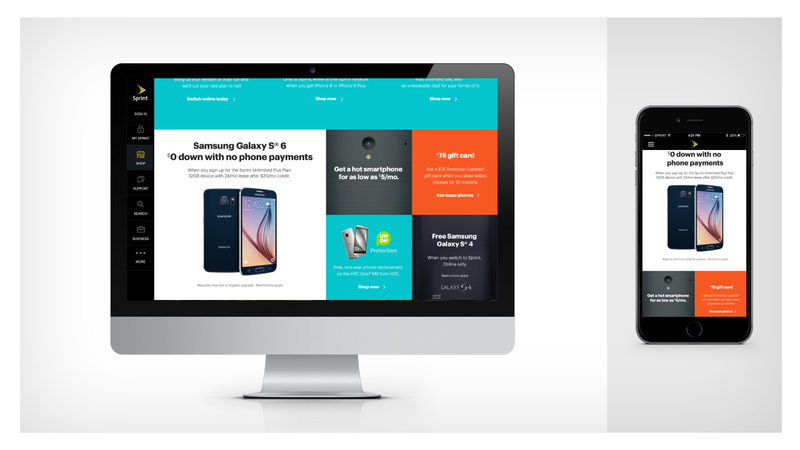 ‍Detailed information about the devices was also condensed to save on page length and load time.